FORT SMITH, Ark. 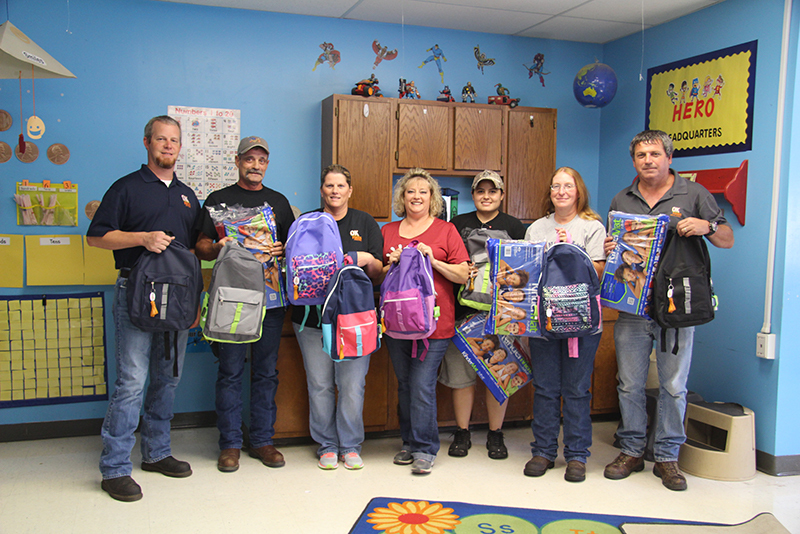 (August 12, 2016) – On Thursday, August 11, managers from OK Foods distributed backpacks filled with school supplies and nap mats to every kindergarten student at Heavener Elementary School. The supplies were purchased from funds raised at an OK Foods sponsored chicken dinner, which took place on Friday, July 29. More than 600 OK Foods employees from the local community participated in the event. FORT SMITH, Ark. 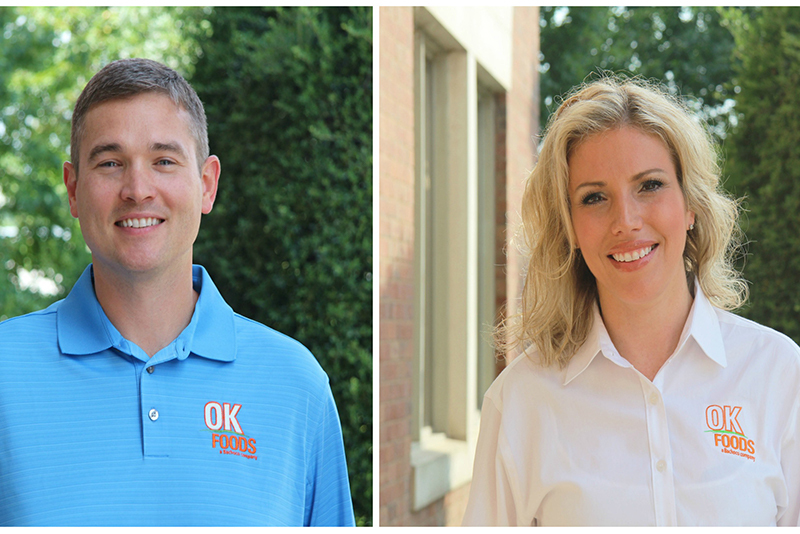 (August 9, 2016) – OK Foods recently hired two new team members to serve in executive roles. Brent Glasgow will serve as vice president of operations and Amy Szadziewicz will serve as vice president of quality and food safety. Glasgow and Szadziewicz will both join the OK Foods Executive Team. FORT SMITH, Ark. (May 24, 2016) –The 8th Annual OK Foods Charity Golf Classic benefiting the First Tee of Fort Smith was held on Monday, May 23 at Hardscrabble Country Club. 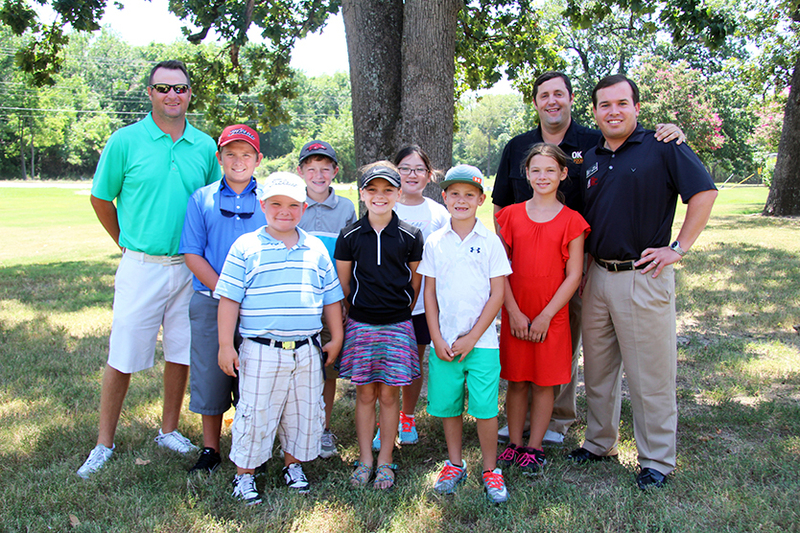 Last year, the event raised $49,655.36, with all funds raised supporting the First Tee Fort Smith Endowment Fund. This year, the event raised $70,000. “The First Tee is grateful to OK Foods for their work to raise the funds necessary for our organization to thrive now and into the future,” said First Tee Fort Smith Executive Director Kris Scott. “We are proud to support the efforts of The First Tee to not only encourage children to learn the game of golf, but more importantly to learn the 9 core values of the First Tee Program of which honesty, integrity and respect are the building blocks,” said OK Foods president and CEO Trent Goins. FORT SMITH, Ark. – (March 7, 2016) – OK Foods has increased the base pay rate for hourly production workers. The raise took effect on Feb. 28, 2016, and will be realized in employee paychecks distributed on Friday, March 11. FORT SMITH, Ark. 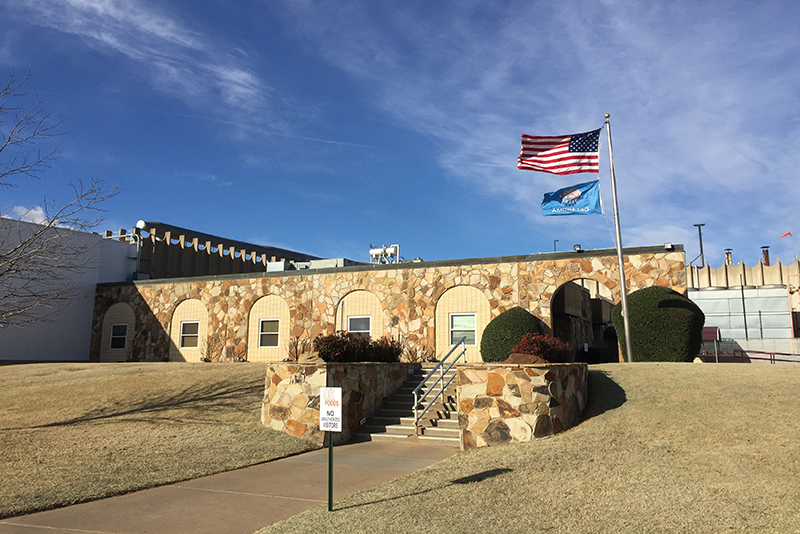 (February 1, 2016) – OK Foods, a subsidiary of Industrias Bachoco, took operating control of a fully cooked chicken product plant in Oklahoma City on Monday. The plant, formerly owned by American Foods Group, is capable of producing 700,000 pounds of product per week. OK Foods President and CEO Trent Goins stated “I am excited to meet the employees of the Oklahoma City plant and welcome them into the OK Foods Family. The plant will not only benefit our company’s strategic position by meeting customer demand, but most importantly, it will balance employee workload among all OK Foods plants more efficiently.